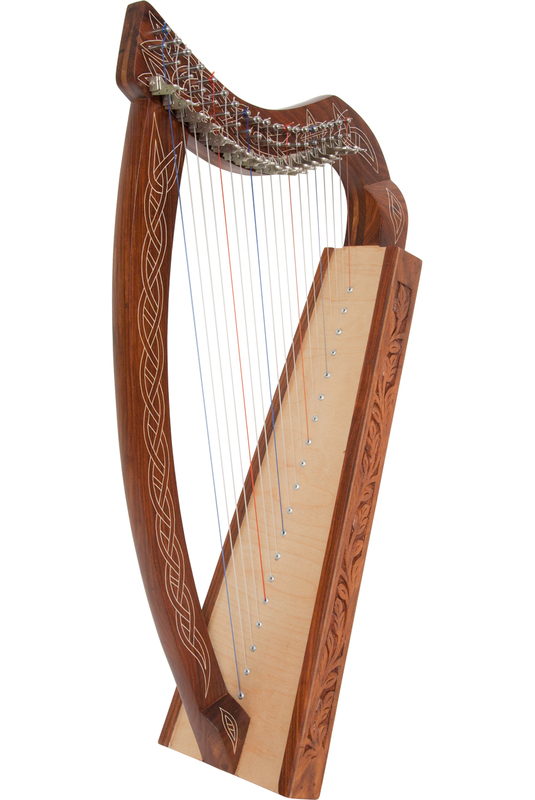 Pixie Harp™ by Roosebeck, 19-String Non-Standing model . Approximately 31" high. Non-standing design for children. Featuring 19 DuPont hard nylon strings, a range from F below Middle C to High C, 19 sharpen levers, engraved and inlaid sheesham frame and a high quality Finnish birch ply soundboard for exceptional sound and strength.